Picturing Disney: Make Your Own Disney Coasters! 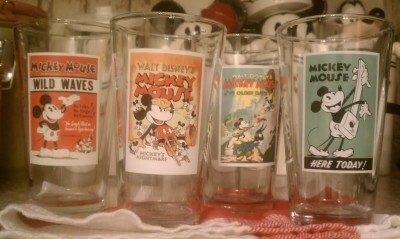 Not long ago I found myself in a Disney outlet (dangerous in it’s own right) and I picked up some awesome glasses at 50% off! I loved the boxes they came in so much that I couldn’t bring myself to throw them out! 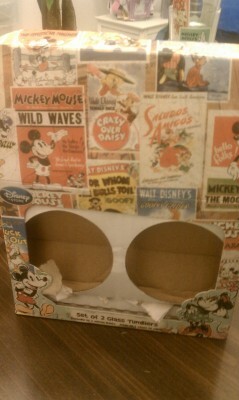 Then I saw a make-your-own-coasters post on Pinterest and a craft was born! 1. 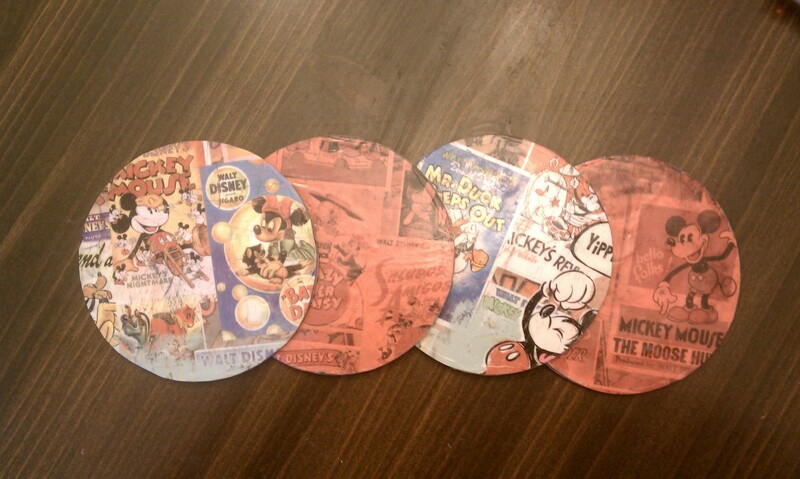 Cut pictures for front and back to the size of your coasters. 2. Put a dot of glue or Modge Podge on the back of your picture and line it up on your coaster. Let it set. 3. Paint the Modge Podge over top of your front image and wait until completely dry. 4. Repeat steps 2 and 3 with the back. 5. Once dry (let set and dry overnight) and enjoy! !